2 architectural drawings on 1 sheet, Competition entry 297, City Hall and Square Competition, Toronto, 1958, by Keith Spratley and Stanley Heinonen of Toronto, Ontario, Canada. 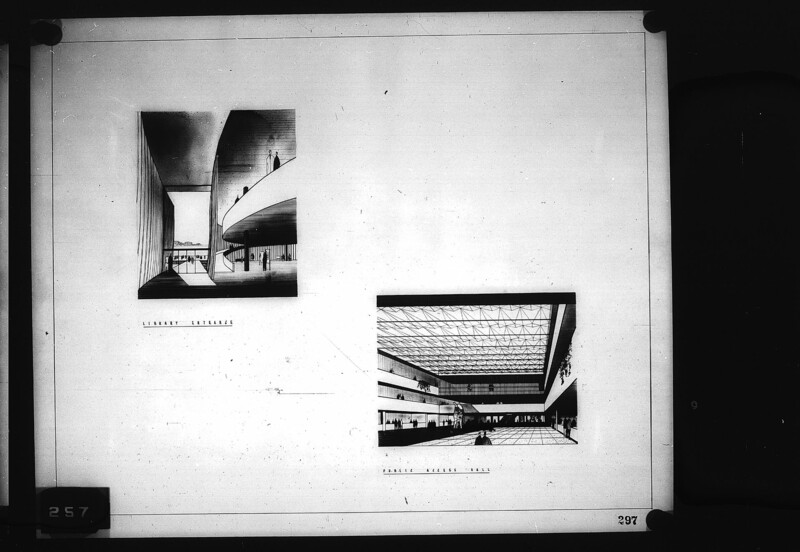 Perspective drawings of library entrance and public access hall. Spratley, Keith Charles, “Keith Spratley and Stanley Heinonen entry City Hall and Square Competition, Toronto, 1958, library entrance and public access hall,” TPL Virtual Exhibits, accessed April 19, 2019, http://omeka.tplcs.ca/virtual-exhibits/items/show/1823.